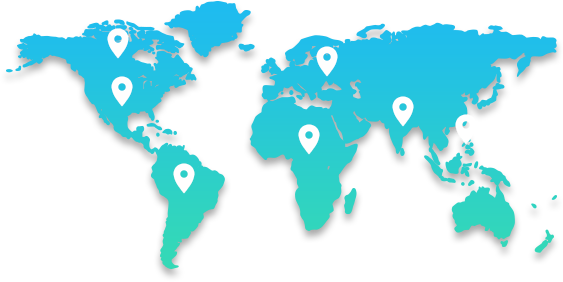 Our solutions are available globally, which allows us to reach clients wherever they are. From the USA to Canada, We are ready to help you! We use quality hardware, which is regularly updated daily to provide reliable support to our clients. If you are unsure what service you need, feel free to turn to one of our consultants for help. Musicbizagents is constantly evolving as record companies strive to become competitive, while navigating the many record labels throughout the world. Our Consultants has 15 years of experience to artist developement,management. Musicbizagents has highly educated and trained consultants working in various cities. Just click on the blue and white text Icon. ( " Bottom right of the page " ) Check for status " Online / Offline ". If wer'e unavailable or offline, you can still leave us a message for our team. An agent will contact you the next following business day. To get an consultation, There's 2 easy ways. Just click on the blue contact button ( " blue dot with 3 lines " ). Or click on the live chat Icon, And a agent will help & send you the link. After you've completed the payment via our secure form, you will receive instructions with date & time via email or sms text. You will recieve a 15 minute reminder before your consultation starts. A music business agent will contact you via phone. Please prepare yourself 30 minutes in advance before your consultation starts.